First painting of the year! It’s always a special feeling to sign the very first painting of the year, – something i have just done now. 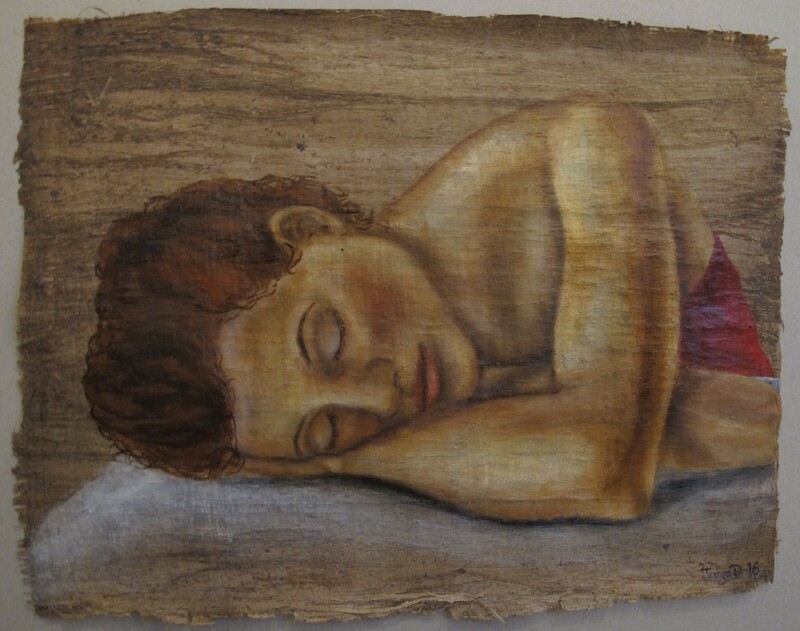 It’s an oil on dark papyrus, – and the title is “A Minute to Sleep, A Minute to Dream”, it’s 31 x 41 cm (just the papyrus, without frame). As with everything that isn’t painted on commission you’ll find this one in the For-Sale-Gallery.